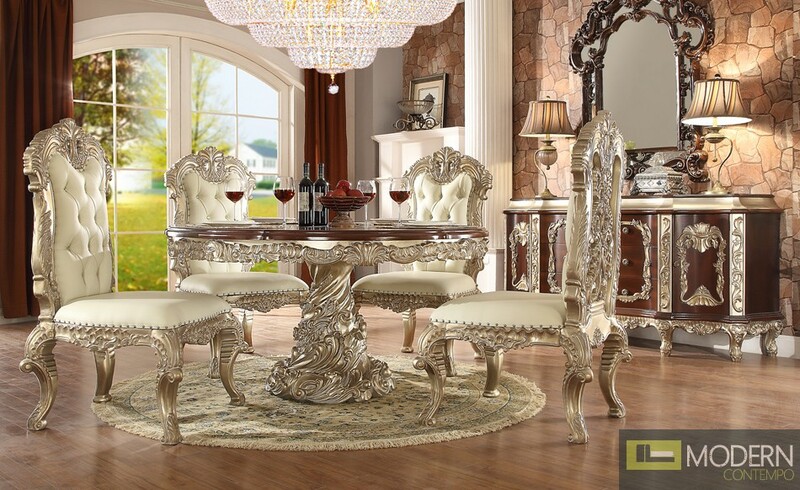 The elaborate designs of Old World Europe are treated with a distinct modern touch. The eye-catching with gold undertone finish of the show wood frame. With details such as shell and acanthus leaf scrolling, the traditional look of the collection is solidified.